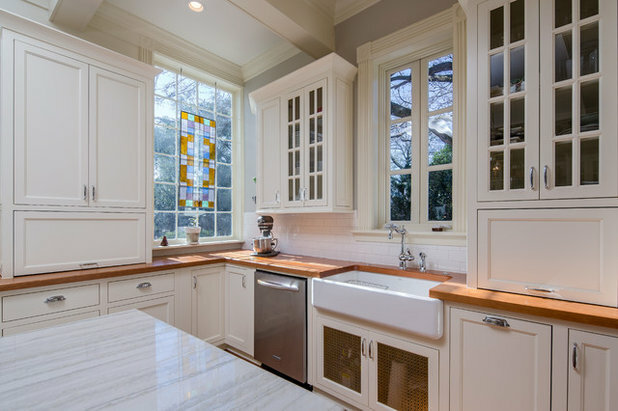 Enlisting an experienced pro can take your kitchen project to the next level. Here’s how to make the most of it. 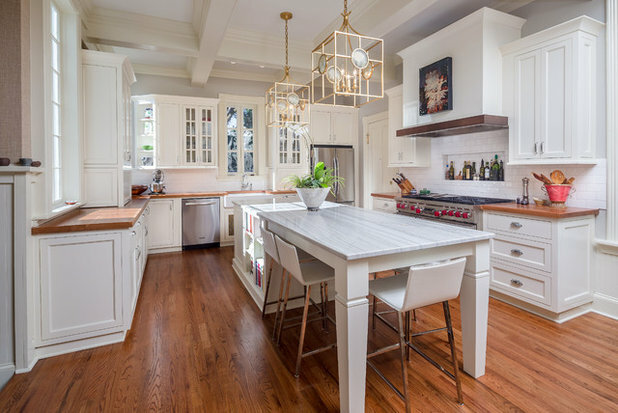 With the average major kitchen overhaul costing homeowners tens of thousands of dollars, it’s no wonder that 85 percent of kitchen renovators turn to a professional for help in ensuring that their money is well spent. In many cases, that professional is a kitchen designer. 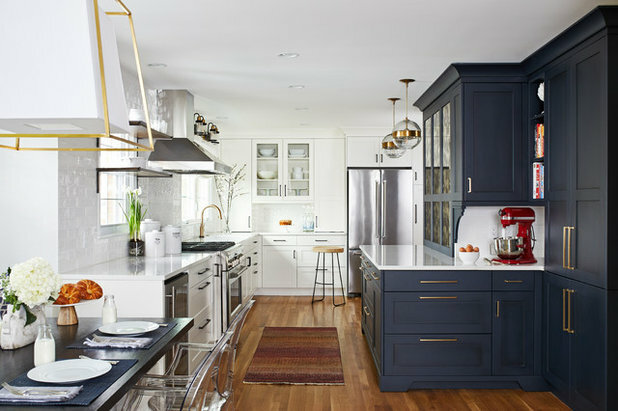 A kitchen designer can take the sometimes overwhelming task of revamping a kitchen — whether it’s updating tired finishes or reimagining the entire look and layout of the space — and help homeowners navigate the process. But how can homeowners know they’ve picked the right designer? Or are asking the right questions? Or are investing in the right places? Here’s a breakdown of what potential renovators can and should expect when they hire a kitchen designer. 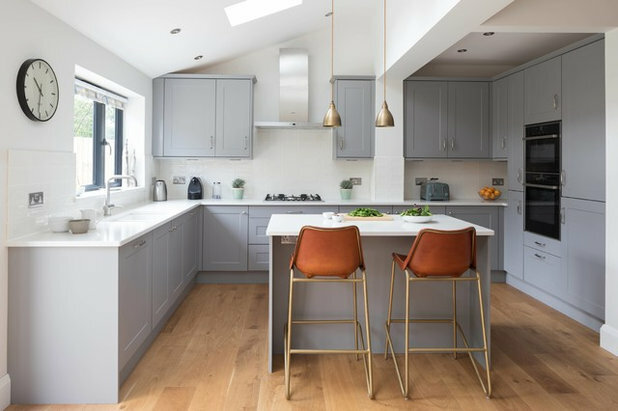 Specific kitchen designers’ services vary, but generally these professionals guide the homeowner through the kitchen design process, from initial consultation to installation. Not every upgrade necessarily calls for a kitchen designer. 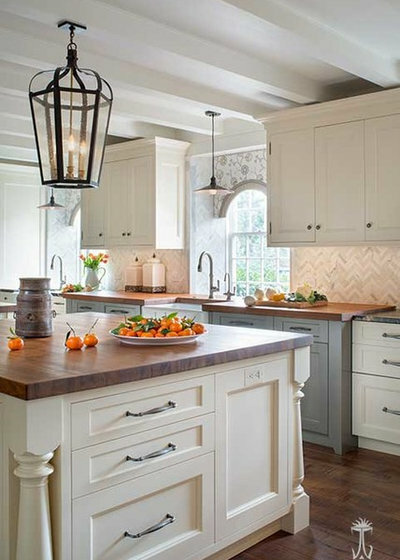 Paula Greer, senior designer at Bilotta Kitchen & Home in New York, says an interior designer or other design pro can help with minor changes such as replacing a countertop or backsplash. It’s when new cabinets and other big-picture elements come into play that a kitchen designer can really make life easier. 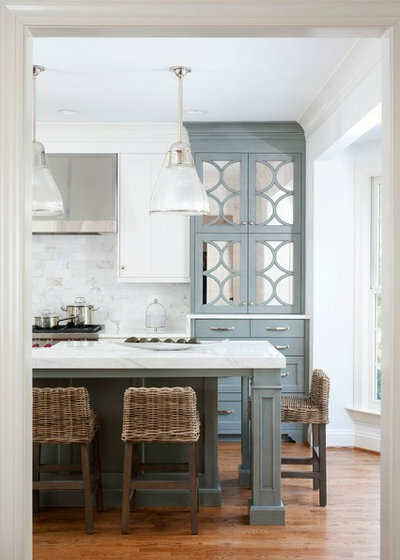 “A kitchen designer is going to have a background that other people — architects, interior designers — aren’t going to have because they specialize in kitchen cabinetry and the functionality of the kitchen cabinetry and how everything fits together,“ Greer says. Kitchen designers also can help homeowners look at their kitchens with fresh eyes, suggesting new layouts, appliance configurations and room plans the homeowner may not have considered. Kitchen designers typically are familiar with the latest products and trends, can recommend (and potentially later manage) reputable subcontractors and suppliers and often can even help with details such as product warranties, Jennifer Gilmer of Jennifer Gilmer Kitchen & Bath and the author of kitchen design book The Kitchen Bible, says. 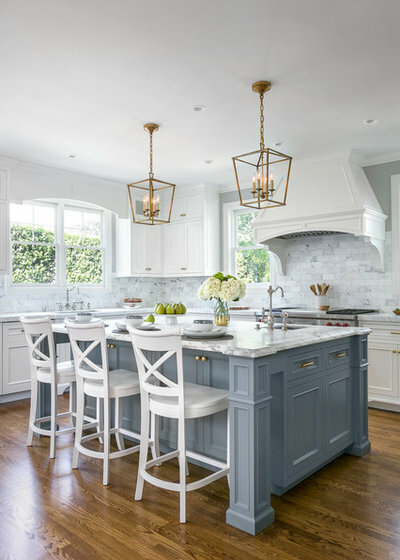 While investing in an independent kitchen designer’s services instead of going it alone or working with a customer rep at a big-box store can be pricier, a good kitchen designer also will be well versed in spending where it counts and making your dollars go further. Where to look. 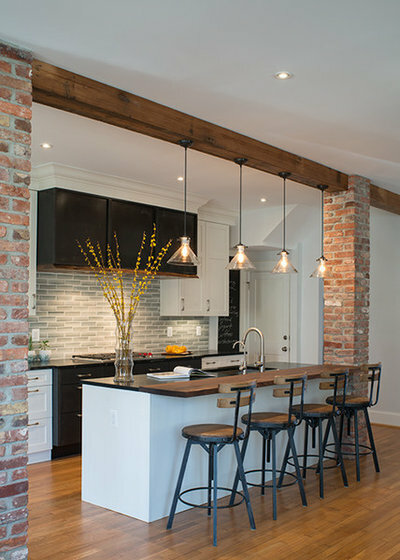 With so many kitchen design professionals out there, finding the best fit for you and your project can seem daunting. Independent designers. These pros may have contractors they work with regularly, but they typically don’t have an official tie to particular products or brands. Designers affiliated with a particular product line or showroom. Designers in this category generally know the cabinetry, flooring, lighting or other lines they represent well and play a dual role as designer and dealer. Designers affiliated with a larger design-build firm. Firms that have a kitchen designer on staff or on contract can give clients a one-stop-shop experience. What to look for. When studying potential designers’ profiles or websites, make note of styles and projects you like but also of the quality of the photos used, as that can be an indicator of the pro’s level of experience and polish, Gilmer suggests. Mentions of awards, articles or design philosophies you feel strongly about in “About Us” pages can be similarly illuminating. If a pro’s portfolio contains a variety of styles, colors and materials, it might be a sign that he or she is a good listener and designs around different clients’ wishes, Gilmer says. Of course, a pro with a lot of similar-looking projects may simply specialize in a particular style, and if that style matches yours, this could be a smart pick too. Once you’ve found a handful of pros who seem promising, scheduling at least three in-person meetings should give you a glimpse into a few different perspectives. There’s a lot to cover in those initial conversations, but overall, a discussion of the designer’s process is key to understanding approach and personality. “If they don’t seem really confident in the process or explaining it, or how they manage the project, that’s going to be a red flag for you right there that ‘maybe this isn’t what I’m looking for,’ ” designer Emily Holley of Merit Flooring, Kitchen and Bath in South Carolina says. How long have you been a kitchen designer? Which brands or products do you represent, if any? What are the steps in your process? How long would you estimate my project will take? Is there a separate design fee or retaining deposit? Do you offer a complimentary consultation and then a comprehensive estimate for the total project? How do you handle budgets for things that might be added during the process? How do you source and vet your subcontractors? Ask to see samples of each designer’s work. Past design drawings also can offer insight into the designer’s process and professionalism. Can he or she provide detailed elevations or 3D renderings? Think about the big picture. If your kitchen space opens into another part of the house, such as the living room, make sure the designer is taking the full space into consideration. 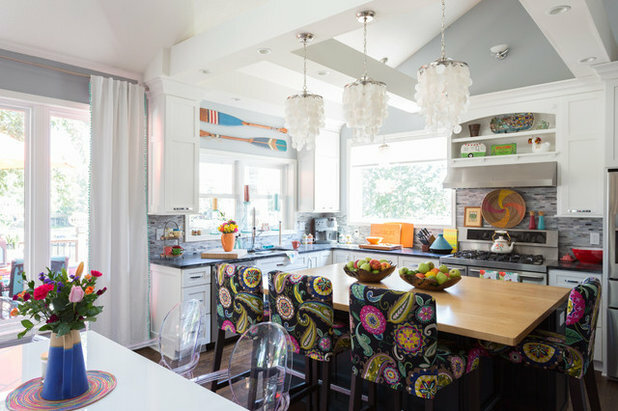 “A skilled kitchen designer looks at the space holistically,” Gilmer says. Trust your gut. As important as other factors are, finding a designer you can work closely with for several months may be most vital to your overall experience. If there’s a firm or a showroom you like but none of the designers you talked to wowed you, ask a manager if you can meet with another designer on staff. If a potential designer’s line of questioning about something such as budget gives you pause, trust it. Does the designer seem to be really listening to your wants and needs? If you don’t get a good feeling about any of the potential designers you meet with, don’t settle. Find someone you love. Once you find the designer you want to work with, keep in mind that it probably will still be a while before work gets underway. Drafting a design plan everyone is happy with can take three or four more meetings as you collaborate on priorities and possibilities after the initial plans are discussed. The design stage is also the time to be clear about what you’re willing and able to spend, as well as the time to keep an open mind design-wise. Being realistic. No matter how meticulously you and your designer calculate your plans, things happen. Despite what some TV makeover shows may portray, issues crop up and slow things down or prompt last-minute changes. Keeping a flexible attitude can prevent some of the most common snarls of tension in the kitchen design process. Your designer may not know the exact time window of your plumber’s arrival, for instance, or a lighting fixture part may be faulty and have to be reshipped. Patience and a realistic outlook can save you and your designer many headaches. “I tell a lot of my clients, ‘You’re going to love me in the beginning because you’re so excited. In the middle, toward the end, you’re about ready to kill me because I’m still in your home and I have not finished.’ But by the end, you love me again because you’re so happy,” Holley says. Second thoughts. Maybe you’re not so sure about the backsplash you ordered now that the countertops are installed, or maybe you hate the way the pendant lights look against the new paint color. Be honest with your designer about any late-in-the-game doubts. A good designer should be able to talk you through why the initial choice will work after all or work with you to make any needed changes. This might mean weighing the pros and cons of the chosen design versus what the homeowner is now thinking, or using 3D renderings to better visualize each choice. If a change does need to be made, the impact might be just a restocking fee, depending on the situation, so homeowners should speak up as soon as they’re concerned so as not to get too far off track or incur extra costs. The finished product. 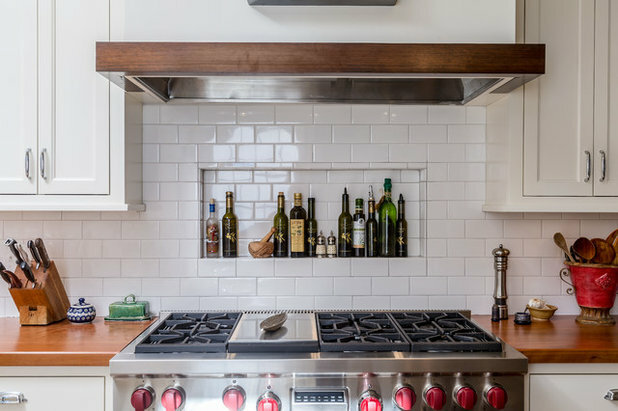 Investing in a kitchen designer’s expertise can pay off in having a kitchen that works for you — and that increases the value of your home.